The 2015 Mooneyes X-Mas Party Car Show and Drag Race was held at Irwindale Speedway this past Saturday. The California Car Cover Crew was back as a vendor this year to help support one of our long time customers. We had a great time hanging out at the car show with our friends at colleagues. The X-Mas Party always attracts plenty of cool customs and people. 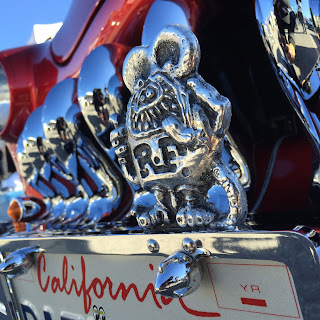 Check out our photos from the car show below. Thanks again to all of our friends at Mooneyes for the hospitality. 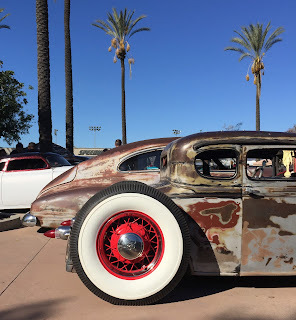 The Mooneyes X-Mas Party closes out our car show schedule for 2015. 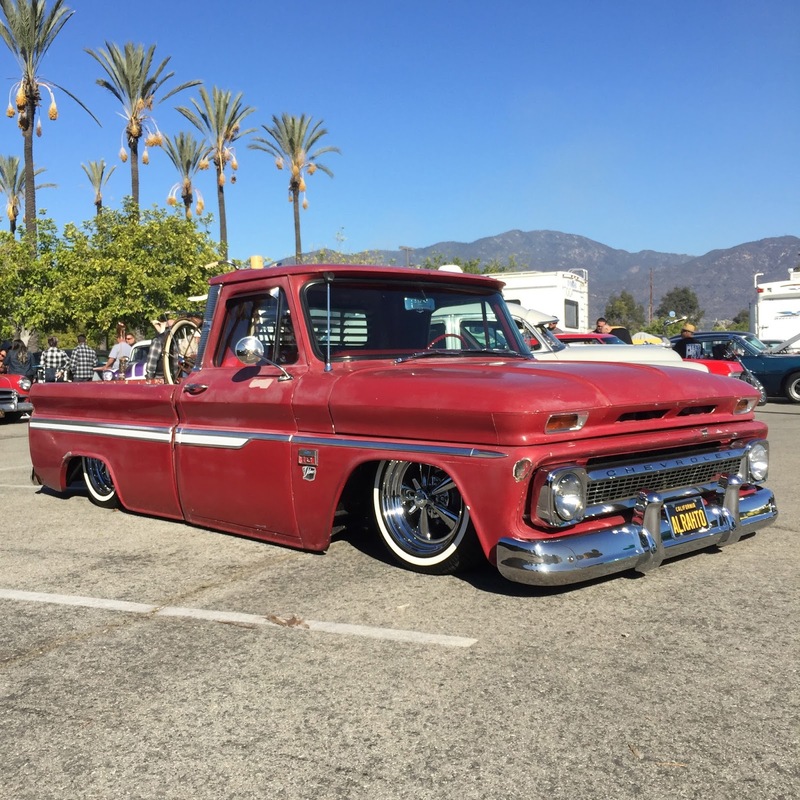 We look forward to seeing everyone back on the road in 2016 at the next Pomona Swap Meet and Grand National Roadster Show in January. Our second holiday gift guide of 2015 featured a unique 1956 Chrysler New Yorker St. Regis. The tri-color paint scheme of this Chrysler caught my eye at a car show earlier this year in Los Angeles and I thought it would be a cool car to feature in our catalog. Fortunately for me, the owner, Jim McLeod, is a prior customer of California Car Cover and willing to participate in a photo shoot. Jim oversaw the restoration of the New Yorker back to its original style. The interior was upgraded to a newer tuck & roll style, but it matches the stock pattern design. We think this Chrysler has the right mix of classic and California style. Thank you to Jim for participating in our holiday cover shoot for 2015. Below is the finished product if you did not receive your copy in the mail this season. 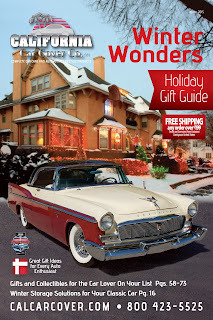 Visit our website to sign up to receive our monthly California Car Cover catalog. Winter is Coming...and California Car Cover has everything to protect your vehicle while in storage. With colder weather soon approaching, it is time to get your classic car and garage ready for the winter months. At California Car Cover, we carry a variety of product to help maintain your vehicle all season long. 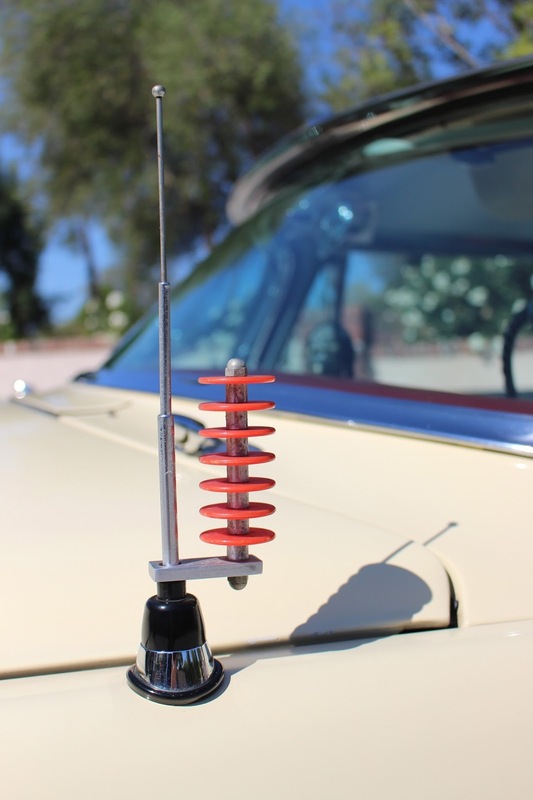 These handy items will do wonders to preserve and maintain your classic. Winter storage is a popular time to do routine maintenance on your vehicle. Many customers opt to get under their vehicle to do some cleaning or change fluids before springtime nears. 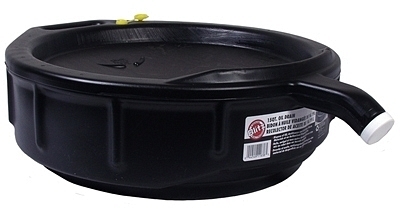 The Magic Creeper is a popular product when ground clearance is limited. This "wheel-less" creeper lets the user easily slide around under the vehicle. It rolls up like an exercise mat, so it is portable and easy to store. Flo Tool drip trays and oil drain containers are also useful under the car. 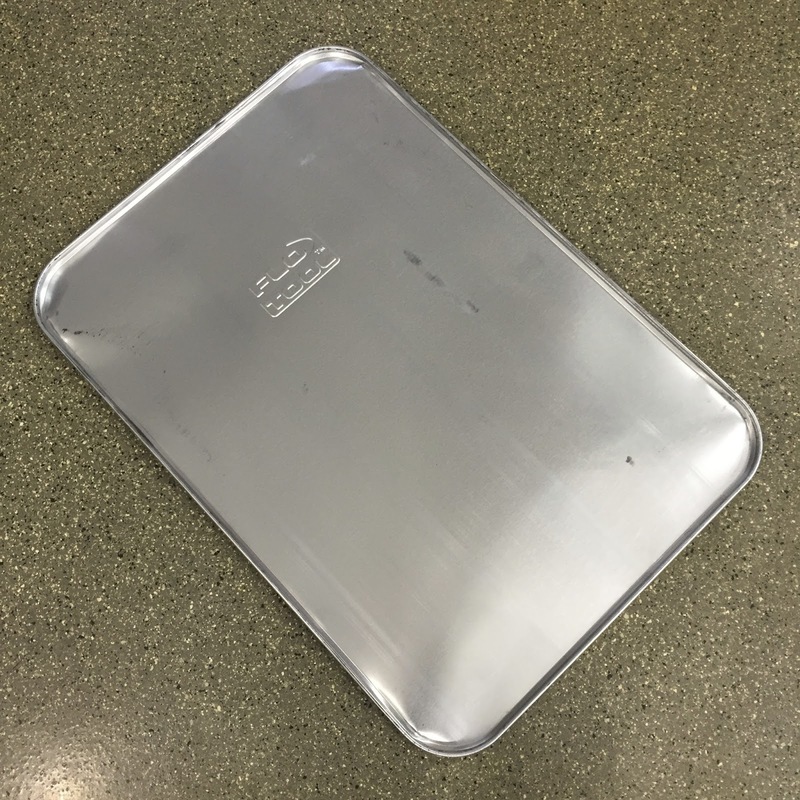 Keep fluid spills to a minimum with the drip tray and make oil collection and recycling much easier with the Oil Drain Pan. Is space at a premium in the garage? Make sure your vehicle is parked in the same spot every time with a Park Smart Mat. These mats attached to the garage floor with heavy duty double-sided tape. Simply roll over the first bump for perfect parking each trip home. If your classic car is going to be sitting for weeks or months during the winter a battery maintainer is a must have to avoid a dead battery when spring arrives. One of our most popular models is a Battery Tender Plus. 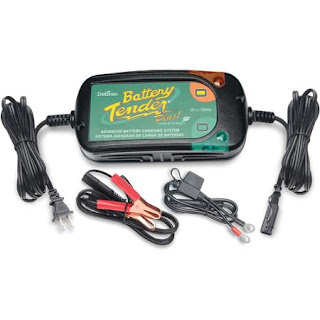 This maintainer and battery charger keeps the car's battery at an optimal level. Your car not only needs some TLC this winter, but so does the garage. A Storm Shield threshold kit installs easily and keeps dust, debris and water out of the garage year round. 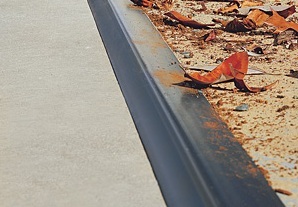 It creates a tight seal with the garage door to maintain a cleaner environment in the garage. Don't forget to add a compact Yellow Jacket Heater or Sta-Dri packets to the garage as well. Our Yello Jacket heater provide plenty of portable heat during the winter. Sta-Dri packets reduce moisture buildup in cars and storage areas of the garage. Find everything you need to maintain your vehicle all winter at California Car Cover.